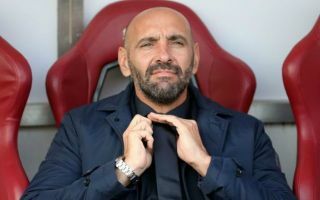 Arsenal may reportedly have missed out on bringing in Monchi due to already being at an advanced stage over their summer transfer plans. The Spaniard was notably linked with the Gunners after leaving Roma, but instead ended up returning to former club Sevilla as sporting director. This looks a blow for Arsenal, but on a more positive note, it could already be that they’ve got their act together in the transfer market. This is according to the Evening Standard, who report that some sources close to the club state this is why Monchi chose not to move to the Emirates Stadium. One can well imagine the 50-year-old would have wanted a great deal of control over recruitment, but would have found himself with little to do if Arsenal were already decided on signings. Then again, the Standard also claim that missing out on Champions League football could mean Unai Emery’s side have only £40million to spend this summer, which doesn’t sound like anywhere near enough. The north London side could of course still finish fourth, but it’s a close fight at the moment for those final Champions League places and their form under Emery hasn’t always been convincing.